Can You Use a Personal Loan for Down Payment on a House? Can You Use a Personal Loan for Your Home Down Payment? Putting money down on your house proves you have the disposable income and money management skills to handle the sometimes unpredictable costs of homeownership. Making a substantial down payment also allows you to establish equity in your home from day one. Down payments on conventional mortgages can range from 3 percent all the way up the traditional 20 percent. There’s no reason you can’t put down more, but for most American households, coming up with 3 to 20 percent is challenge enough. You will almost never be able to use a personal loan for a down payment on a house. Shawn Proper, senior vice president of mortgage and consumer lending at Mars Bank, explains why. “One of the things we are required to do as a part of the underwriting process is verify outstanding debt and credit inquiries from the past three, six or 12 months,” Proper says. Personal loans are unsecured debt — meaning there’s no collateral for the bank to collect should you default. On top of that, taking on new debt can alter your debt-to-income ratio. To qualify for a mortgage, the amount of debt you carry versus the amount of income you bring in generally must be below 50 percent . Taking out a personal loan changes this ratio; you may no longer qualify for a mortgage, and if you do, you may be offered less favorable terms. Technically, you could take out a personal loan more than 12 months prior to your mortgage application, but Proper doesn’t recommend it. Traditionally when people think of a down payment, they may think they’ll need 20 percent of the loan value. While you don’t technically have to hit 20 percent, there is good reason for this advice. If you put less than 20 percent down on your mortgage, you’re required to pay for private mortgage insurance (PMI) until you do. This added cost can mean you spend more money over time — even if you have to come up with less at the outset. Proper says that on a conventional mortgage, your lender is required to notify you when you reach 20 percent equity. At that point, you can cancel your PMI. If you don’t, when you hit 22 percent equity, it will be automatically canceled for you. He also notes that putting less than 20 percent down often results in higher interest rates, further increasing your costs. You can use this mortgage calculator to see how your down payment can affect what you pay for a home loan. Taking out a personal loan for a mortgage down payment is not a viable option if you’re trying to get your foot in the door as a homeowner. The good news is that there are plenty of other alternatives. The best method to achieve so many financial goals is simple, but that doesn’t mean it’s easy. When you’re saving up for a down payment on a home, you should do just that: Save. It will take some time to reach your goal, but if you establish savings as a habit, homeownership is achievable. A great way to make sure you stick to the plan is to schedule automatic transfers from your checking account to your savings account each paycheck. To spur your progress on at a faster clip, go through your possessions, evaluating each one. If it doesn’t hold significant sentimental value and you haven’t used it in the recent past, sell it. Put the money directly in your savings account. Not only will you be able to purchase a home sooner, but you may also spend less money during the move, as you won’t have to transport items you don’t really need. Proper says you should document any sale that amounts to 50 percent or more of your regular monthly income, though. For example, if your paycheck is normally $5,000 per month and you sell an item for more than $2,500, you will need some type of sales agreement signed by both parties. Certain programs allow you to accept gifts from family members. There are strict rules to follow, though. You should be able to document the gift through check or wire transfer — not cash — and even then, you should work closely with your loan officer to ensure everything’s up to code. Otherwise, you risk not being able to use the funds, or even having the gift counted against you as debt. Borrowing from your 401(k) to fund your down payment is not ideal. The money in that account is for your retirement, and while you might have the best of intentions to pay it back, making that withdrawal is risky. Known in the mortgage industry as an 80-10-10, or a piggyback loan, a simultaneous second mortgage involves financing 10 percent of the home’s value toward your down payment. The first mortgage is for 80 percent of the home’s value, and you provide the remaining 10 percent as the down payment. This option allows you to avoid paying PMI while saving up only 10 percent for the down payment. Grants are free money you don’t have to pay back. You may find these down payment assistance programs through your county/parish housing authority, or through your city or municipality. Proper notes another way to find grants is to ask your lender directly. To find out if you qualify for an FHLBank grant, find a partner financial institution near you. You may also want to find a lender who works with the National Homebuyers Fund — another grant-issuing organization. While on a conventional mortgage it is ideal to have 20 percent down, there are other types of mortgages that don’t require such a hefty down payment. FHA loans require only 3.5 percent down, but you will be paying PMI for the life of your loan if you put down less than 10 percent (if you put down more, you’ll pay PMI for 11 years). You don’t get out of it just because you hit 20 to 22 percent equity. However, if you’re only able to make a small down payment, you may get a better interest rate on an FHA loan over a conventional loan. 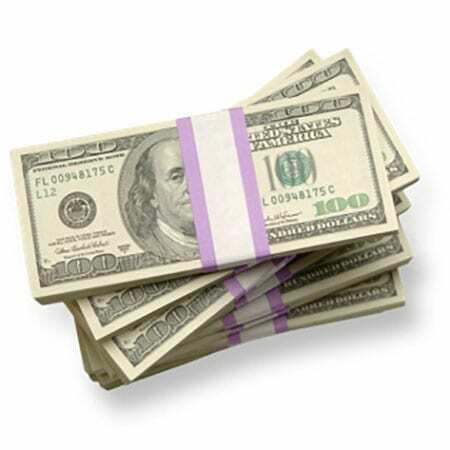 Loans backed by the Department of Veterans Affairs (VA) require no down payment. In order to qualify, you or your spouse must be in the military or be a veteran. The inspection process, which must be done by the VA, is rigorous for this type of loan. If you’re house-hunting in a rural area, are confident you can make monthly payments with ease, but are having trouble coming up with the down payment, you may want to look into USDA loans. These mortgages require no down payment, but the home must be located in an area deemed ripe for rural development. If you are a first responder or a teacher of students in pre-K or K-12, you may want to look into the Good Neighbor Next Door program. HUD offers 50 percent off the list price of homes in certain areas in need of revitalization to homebuyers in these vocations. You must agree to live in the home as your primary residence for a minimum of three years. When you sign up for this program, you will sign a “silent” second mortgage for 50 percent of the home’s value, but it will be forgiven after you have completed the mandatory 36 months of residency. Learn more about Good Neighbor Next Door here. SoFi issues PMI-free mortgages for as little as 10 percent down. In order to qualify for a loan from SoFi, you’ll have to have a solid income, a career trajectory that is expected to be prosperous, and a good credit history. If you have a credit score under 700, you’re unlikely to qualify. Fannie Mae, one of the largest investors in conventional mortgages, runs a program called HomeReady, which allows borrowers to get into a home with as little as 3 percent down. You will still have to follow the rules of PMI for conventional mortgages, and you will have to take a class to learn the basics of homeownership. Learn more about the HomeReady program here. Personal loans are not a good option for a down payment on a home, but there are plenty of other attractive alternatives. Between grants, gifts from family, low-down-payment loans and good, old-fashioned savings, there are plenty of ways to get money for a down payment — regardless of which type of mortgage you pursue. This article may contain links to MagnifyMoney, which is a subsidiary of LendingTree.